This week Fuhmentaboudit! 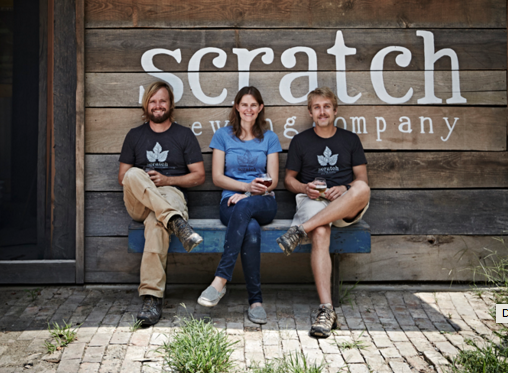 is back with a brand new episode featuring the team from Scratch Brewing Company: Marika Josephson and Aaron Kleidon. As co-owners (along with Ryan Tockstein) of the brewery, they explain their backgrounds as well as how they met up and eventually waded through mounds of paperwork and legislation to stat their own brewpub, which at the time, was the only brewery south of Springfield, Illinois. The duo explain that they focus on beers brewed with ingredients including dandelion, ginger, maple, and honey. All of their ingredients are grown on premises, foraged from a local wooded area, or are sourced from local places. Tune in for a delicious episode!